How will tenants find my property? We work hard to find you quality, responsible tenants. We post our available spaces on a variety of sites. Once an application is received, we complete a thorough background check to ensure a low turnover rate. We want our clients to have a high occupancy rate, and tenants who are happy and comfortable with their homes.  At J. Butler, each client is given their own property manager. This manager will take care of everything on your property, including managing maintenance, leasing, and financing. We strive to establish relationships with our clients to help foster open lines of communication. Why should I choose J. Butler? The professionals here at J Butler strive for high quality properties. We work hard to maintain your property to keep it looking beautiful and safe for your tenants. We also provide easy communication, so any issues are handled in a timely and professional manner. Our years of experience in a wide variety of property types – including commercial, apartments, and small properties – means we know what we’re doing when it comes to property management. We have experience managing a variety of properties. We are unique, however, because of the individual attention each kind of property receives. We have a small property, apartment, condo, and commercial division, which means each division contains experts in that property type. Do you take care of pre and post occupancy inspections? Yes. Our leasing team takes care of all inspections. Both pre and post occupancy inspections are important because they give our clients and property managers to assess properties for damage, and to easily determine who is at fault. Completing this process between each tenant ensures that your property is always looking its best. How can a tenant alert you of a problem or question? Each property has access to their property manager, meaning someone is always available to handle any questions or concerns. We also offer a 24/7 hotline for emergency solutions. Additionally, large properties have the ability to keep an on-site team on hand to handle emergency problems.